LatinaLista — Like it or not, media plays a part in molding our expectations and perceptions of each other. And because media has historically been controlled by older, white men, the end result has been a proliferation of stereotypes and false assumptions created by traditionally narrow coverage steered by bias. In a letter to readers, National Geographic‘s Editor-in-Chief, Susan Goldberg, reflects on the magazine’s treatment of people of color. Goldberg had help in analyzing the content of the magazine’s 130-year-old archive from Professor John Edwin Mason, a University of Virginia professor specializing in the history of photography and history of Africa. Dr. Mason was selected for his specialized studies because both subjects figure prominently in the magazine’s content. “… until the 1970s National Geographic all but ignored people of color who lived in the United States, rarely acknowledging them beyond laborers or domestic workers. Meanwhile, it pictured “natives” elsewhere as exotics, famously and frequently unclothed, happy hunters, noble savages—every type of cliché. Fortunately, as Dr. Mason noted, people were realizing this lopsided coverage in the magazine and little by little newly hired photographers and writers, young and more tolerant, began to expand the narrative in how people of color were being portrayed among the pages of the magazine. It took time but thanks to a new generation in the media industry expectations were changed. While National Geographic‘s admission is noteworthy, it’s not as exciting as the new findings of an old study. In 1966, a social scientist named David Chambers created a study called “Draw-A-Scientist.” Chambers and his team asked elementary school children in the United States and Canada to draw a scientist. Overwhelmingly, children drew scientists as men in white lab coats. Why? The popular theory is because the children did not see women scientists in the movies, television, books or in person. In other words, the gender stereotype that only men were smart enough to be scientists were messages that these young children had absorbed without even realizing it. The initial study lasted from 1966 to 1977 and when it was published in 1983, it was revealed that only 28 out of nearly 5,000 pictures depicted a female scientist – those 28 were drawn by little girls. However, the study continued until 2016. A new team of researchers have collected the data of 78 administered “Draw-a-Scientist” and found encouraging signs. 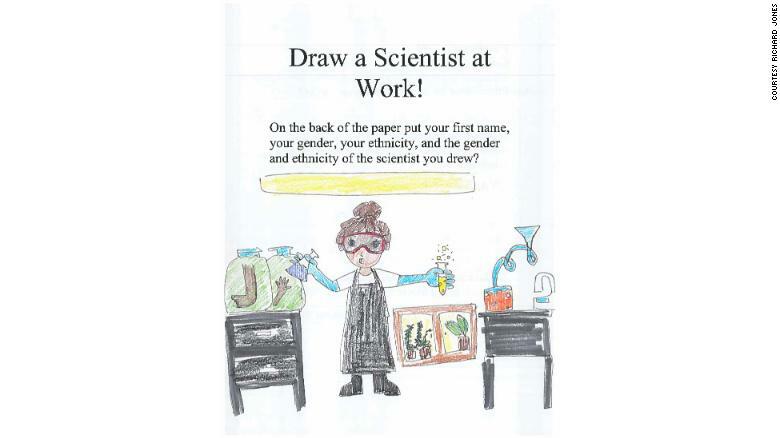 Since the 1980s, 28 percent of kids on average drew a female scientist. Like National Geographic, overall media has gotten better in portraying more women with white lab coats. Schools have improved in encouraging and steering girls towards STEM careers and more female scare being are being seen as role models by both young girls and boys. The lesson here may be that stereotypes and unrealistic expectations will last only as long as the media narrative stays the same. Next PostDoes your state have a climate adaptation plan?